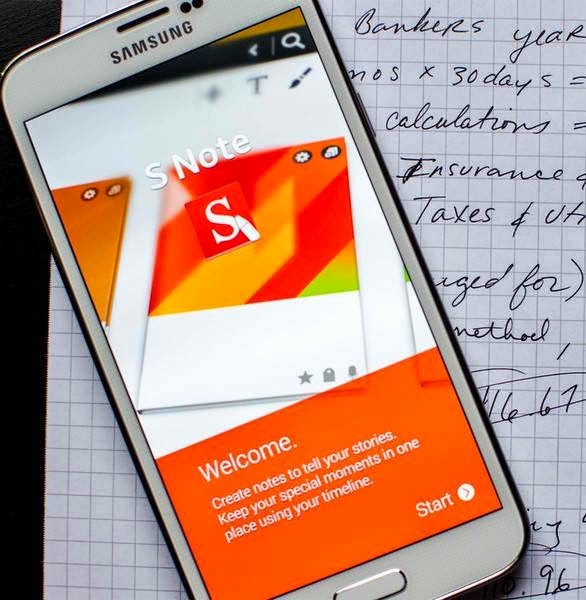 The S Note is one of the pre-installed features on Samsung Galaxy S5. It allows users to take both typed and and handwritten notes quickly and conveniently on the go. When you attempt to create a new note in the S Note, you will be prompted with a pen tool in the upper left hand corner of the screen. 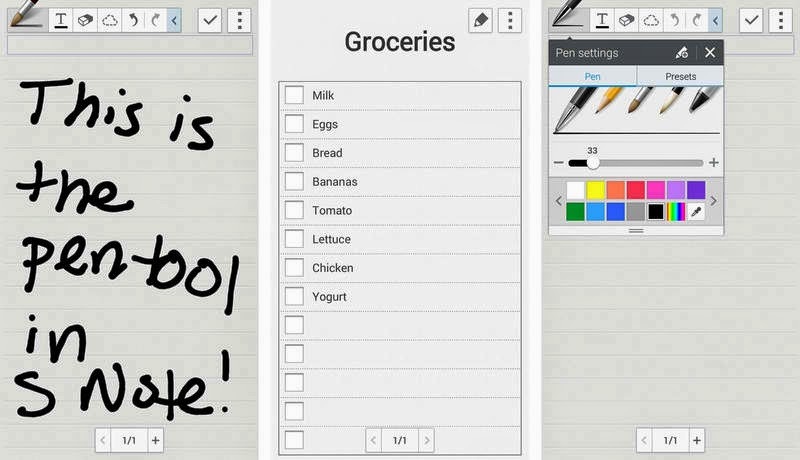 To get started, toggle between free hand-writing and typed notes tapping either the T beside the pen tool. You can also expand the pen tool menu and select your preferred type of writing tool and/or color to use. A formatting bar is also available at the top for you to undo or redo actions. The three dot-like icons in the upper right hand corner of the corner is the Menu button. Tapping on it will offer with more actions. The Menu button is the one you will tap if you want to add or create a page to your note, as well as share some notes. The GS5 S Note comes with many various templates for you to choose from. Among the available templates are checklists, meeting agenda notes, and blank sheets to name a few. By the time you open the S Note, you will be prompted to choose a default template, which you can also change later. To access even more options, get inside any page of a note and tap on the Menu button. Here you can also record a sketch and magnify notes. You can also sync your notes with Evernote if you want to make them accessible everywhere.